It’s cocktail time again, and we’re revisiting my forever favorite drink of choice: the margarita. I feel pretty lucky to live in an area where margaritas aren’t confined to the summer months, but a cocktail that can be enjoyed year round despite the seasons. I’ve noticed that when I visit places like Chicago or Portland, Maine, the cocktail menus at restaurants tend to be very whiskey or gin centric, both of which I’m not too crazy about especially since they’re pretty heavy. But margaritas on the other hand… are light, refreshing, and go down easily (a bit too easily) and are everywhere here in California. Lately, I had been getting bored with my go-to margaritas that I make for us at home. This includes a classic margarita on-the-rocks with a splash of pineapple as well as a blended frozen strawberry margarita (always a crowd favorite). I really wanted to branch out and try a margarita with in-season fruit that would not only be delicious, but beautiful to look at. Since we’re still in citrus season, I knew that I wanted to use a citrus that was not only a bit more interesting, but also one that could be found year round. After eliminating kumquats (they’re too rare and only around for a short period of time), I landed on tangerines. 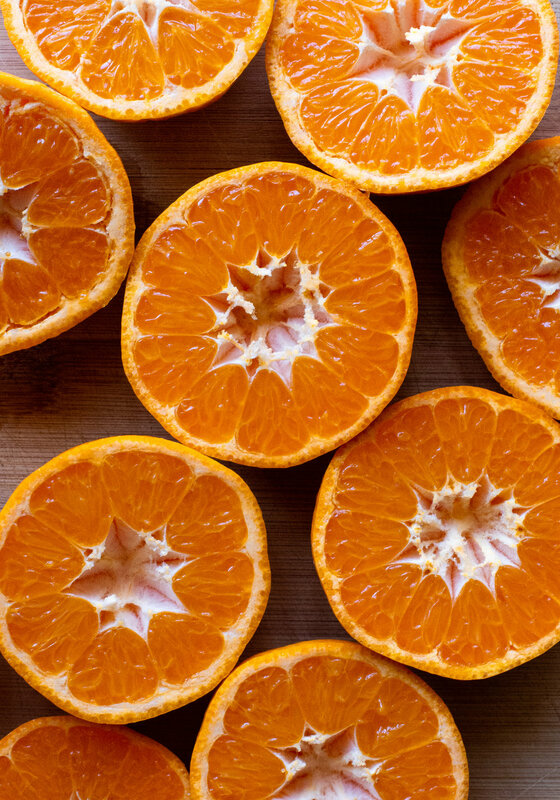 Even though tangerines are in season from about November to May, there is always the option to buy tangerine juice - Trader Joe’s tangerine juice is quite honestly the best citrus juice there is available. 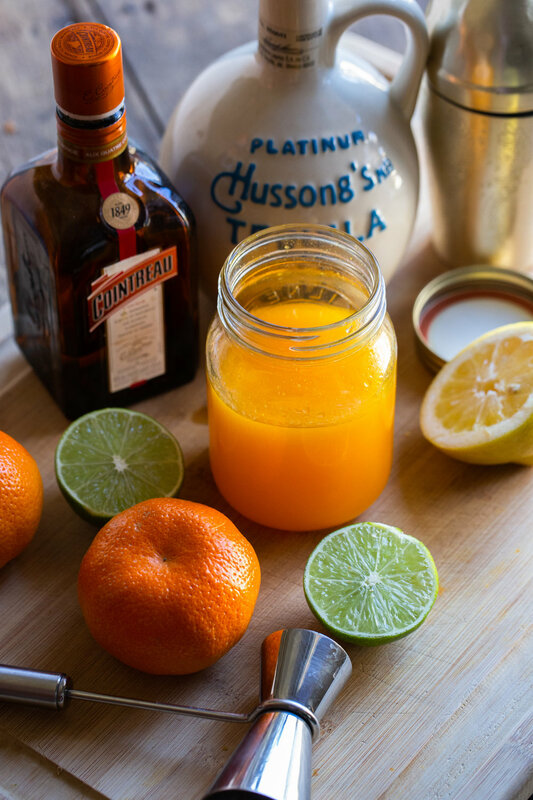 Tangerine juice isn’t the only citrus found in this margarita for there is also a bit of lemon and lime juice added. Both of these additions provide a little sourness and sweetness and therefore makes a well-rounded and delicious cocktail. And to really drive home the citrus flavor, there is also orange liqueur added. I recommend using Cointreau, because it really is the best available, but if you don’t have it nor wish to buy it since it’s a bit pricey, triple sec will work just fine. And if you think that this will have a screwdriver feel to it, aka vodka and orange juice, believe me, it is so much more elevated than that. I had Alex be my taste-tester (he consumed about 4 cocktails within an hour, he’s a champ) and he was completely impressed since he thought it would be such a boring drink. It really is all about the three citrus juices working together that makes it so complex and leaves you wanting more. When Alex stated that he would happily order this cocktail at any bar, I knew that I had succeeded that day. Salt the rim of your desired glass and set aside. Add all ingredients plus a handful of ice to a cocktail shaker and shake to mix. Strain into your prepared glass and garnish with a lime wedge.